More than half of the world’s internet users are now in Asia. The majority of the global middle class is in emerging markets (EM), and nearly 90% of the next billion entrants will come from Asia, according to the Brookings Institute . Instead of paying with cash or credit cards, EM consumers use mobile wallets to get lunch or pay for utilities, making the most of swift modern digital infrastructure especially in buzzing urban hubs. There are many reasons for public markets investors to be excited about emerging markets today after a long lull. Yet it remains true that these markets can be difficult to enter as an investor, returns on investment are more volatile than in developed markets, and understanding market fundamentals is challenging due to faster shifts in consumer preferences, and in regulatory and policy patterns. Why might it be different this time, and how? After five years of lacklustre performance as an asset class, analysts expect EM equities earnings growth could be up by as much as 23% this year , following a 2% contraction in 2016. The consensus expectation is that technology stocks will lead the charge and some leading indicators justify this view. Technology companies count for around 25% of the MSCI Emerging Market index top 10 stocks, having taken over telecommunications and energy. In the first quarter of 2017, the same index was up by 11.4%, recording the strongest first-quarter performance since 2012. Notably, Chinese technology companies listed on the mainland will now become part of that index, and would at that become more accessible for international investors. The largest emerging markets are still the growth engines of global GDP. The IMF predicts that the global economy will grow 3.5% in 2017, while the most populous emerging markets will grow much faster. India is to rebound with 7.2% growth in 2017–2018, and 7.7% in 2018–2019. The IMF has also revised up China’s growth by 0.2% to 6.7% in 2017. As well as credit expansion, increased spending has reportedly driven growth higher in China specifically, which in turn has caused China’s digital economy to grow even faster than GDP. In the third quarter of last year, China’s internet economy was worth 352.5 billion RMB, up 2.6% from the previous quarter , faster than GDP growth of 1.8%. Yet some now worry that we have growth but no inflation – and that indeed we may be experiencing ‘global reflation’. Transformative technologies may be driving deflationary pressure across markets. Why? Andrew McAfee has argued that technology can replace the traditional inputs of workers, buildings and heavy equipment, driving down wages and prices. Arguably here EMs have the advantage of lacking legacy infrastructure. However, as next generation technologies are rolled out, there is a continuing need to build physical infrastructure and offline-markets to support it. Outside the technology sector, EM investors would rightly worry about deflationary effects on corporate earnings from softening commodities and trade. Ordering lunch on Grubhub or Seamless (or Delivery Hero in Europe) shows a stark change in our offline consumption choices. This is true in EMs as well. Up until now, most of the best-performing EM technology stocks have been high growth tech stocks – for example, online payments services and social media and analytics platforms. Popular online companies in EMs generate revenues from transactions in content and video-streaming services, gaming platforms and the like. But in the past year we have seen the growth in e-commerce slow down. The new opportunities are around helping consumers and businesses to ‘get the job done’. In other words, what is hot is the link between online and physical services. It is all about ‘digitising the last mile’ for offline consumer services. As Harvard professor Clay Christiansen has argued , people don’t really buy digital products or services, they hire them to get a real job done for them. There is an infinite number of jobs to digitise as markets evolve, across consumer but also global real assets, for which new business models will evolve. What do groceries and bikes have to do with tech investment? Look no further than last week’s announcement of Amazon’s takeover of Whole Foods for a hint. From the acquirer’s perspective, the grocery industry’s bottom line is significant compared to that of a technology company, discounting the costs of the acquisition. For a platform company, like Alibaba or Mercadolibre in Latin America, acquisition could save the cost of building supply chain companies to ‘do jobs’. Digital platform businesses (such as Amazon or Airbnb) have had an advantage in recent years over traditional business models in that they’ve not owned their own supply chain. As a result, they have lower transportation and communication costs. Like other digital business, they’ve increased profit margin further as cost of computing and bandwidth has declined, and the drop in sensor prices has stimulated new business models. Digital platform businesses have additionally been successful at creating an ecosystem for their products, and can have near-zero marginal costs of production for bringing new versions of products to market. The entry of digital platform businesses can only validate and drive new growth and efficiency in brick and mortar markets. In the largest emerging markets, according to a Nielsen study this year, consumers are now confident about economic growth, stable growth of individual income, and are spending on upgraded brands, services and products. Consumer preferences are evolving and changing rapidly, compared to European and American markets. Construction, infrastructure and other industries focused on real assets are also undergoing a transformation in EMs. Smart infrastructure technologies including sensors, navigation systems, batteries, machine learning and beyond are part of modernising and upgrading buildings, transport and cities, to name a few examples. Compared to developed markets, the opportunity in EM digital economy growth is arguably more widely spread. Businesses have greater opportunities to build out first generation digital infrastructure and services, and O2O markets are rising fast. Yet, perhaps with the exception of China, digital market transformations are fiscally very challenging for most EM governments. Especially in frontier markets, wireless connectivity is as far as smart infrastructure ambitions thus far reach. There are plenty of opportunities for regulatory upgrading to attract private sector capital in to these projects. 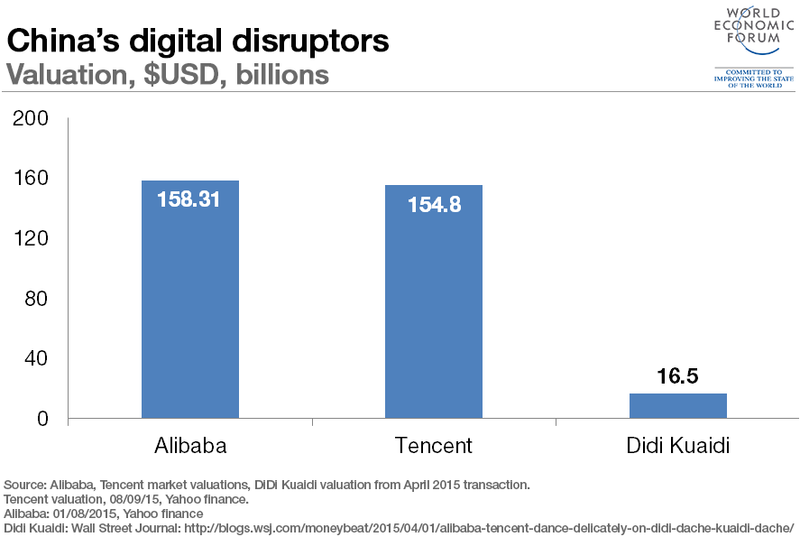 It remains for investors to assess the digital markets opportunity in EMs. Aside from fast growth EM tech stocks, EM cyclical stocks are still relatively cheap, and show good economic fundamentals and growth.